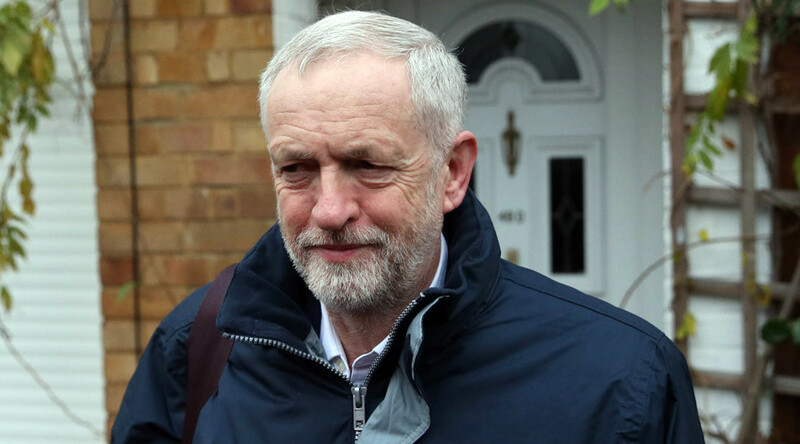 Labour Party leader Jeremy Corbyn is expected to move Shadow Foreign Secretary Hillary Benn and Shadow Defense Secretary Maria Eagle to other positions in his Shadow Cabinet in a bid to secure party unity on foreign and defense policy. Last month’s vote on extending British airstrikes against Islamic State (IS, formerly ISIS/ISIL) from Iraq into Syria exposed stark divisions among Labour MPs. Eleven of Corbyn’s 28 Shadow Cabinet ministers, including Benn and Eagle, broke with party policy and voted in favor of intervention, with Benn delivering a speech backing airstrikes that was applauded by Tory MPs. Eagle, meanwhile, also supports renewing Britain’s Trident nuclear missile system. Corbyn opposes the renewal, and hopes to change the party’s policy ahead of a vote in the spring. Jeremy Corbyn doesn't deny there'll be a reshuffle & referred to it as 'the reshuffle' "I’m not talking about the reshuffle this morning"
Labour sources have suggested that Shadow Home Secretary Andy Burnham, who voted against airstrikes, may swap positions with Benn, allowing Benn to retain a senior post, the Times says. The reshuffle is also thought to be aimed at increasing the number of women in senior posts, the paper writes. Shadow Employment Minister Emily Thornberry and Shadow International Development Secretary Diane Abbott are believed to among those in consideration for top jobs. Corbyn refused to comment on reshuffle rumors on Monday morning during a protest against rising train fares at Kings Cross station in London. “[Labour leaders] do try and hold the party together, they do recognize that the Labour Party is a broad church, not a religious cult, that you need people of different backgrounds and try and get the best possible talents,” Dugher said. Writing in soft-left magazine the New Statesman, Labour MP John Woodcock urged Corbyn to deliver on his promise of a kinder politics. “Let the Jeremy who reached out and included those with different views in his first Shadow Cabinet be the man who leads a diverse Labour Party in 2016,” he wrote.